Marios Athanasiou graduated from Southern Illinois University Carbondale (SIUC) in the United States. He holds a Bachelor’s degree in Accounting and a Master’s Degree in Audit and Information Systems. He is a Certified Public Accountant (CPA) and a Certified Internal Controls Auditor (CICA). Marios is also a holder of a practicing certificate issued by the Institute of Certified Public Accountants Cyprus (ICPAC) authorised to practice as a Certified Public Accountant and Registered Auditor as well as a Corporate Services provider. He also holds the advanced license from the Cyprus Securities and Exchange Commission (CySEC) for Investment Firms. Upon graduation, he worked in local audit and tax firms until his qualification as a Certified Public Accountant and Registered Auditor. He then decided to form his own business for providing audit, tax, advisory, local and global compliance services, serving a portfolio of local and international companies as well as high net worth individuals. Marios is also acting as a Tax Advisor of Law firms in Cyprus, servicing the clients of the Law firms in all tax related matters. 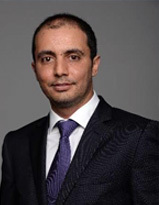 He also acts as a non-executive director in regulated companies by the Central Bank of Cyprus (CBA) and the Cyprus Securities and Exchange Commission (CySEC). Additionally, Marios has fifteen years of experience in teaching at private universities in Cyprus, in the areas of financial and managerial accounting, corporate reporting, audit, taxation and information systems.